And quickly took my spot. We stayed up late to watch TV. Showing me what funny meant. I would sneak into your room. You took out your electric kit. Spending hours setting up the obstacle course. Working in the cold for hours. A special winter space that we both could share. While all of the teenaged girls screamed. Never by playing as well. I fell on the verge of dreams. that you had caught just for me. And wore flowers in my hair. I am the youngest of all of my cousins. Number ten of ten. My oldest cousin is 17 years older than me, and he, along with other older cousins and my brother, can’t come because they live too far away. Even still, I have plenty of cousins to hang out with, and all of my aunts and uncles are here. As we walk up the stairs into the old white farmhouse, I can smell the smells of farm and good food. We carry our suitcases up the narrow, steep steps. I will either be bunking with my cousins in their room, or we may camp out on the living room floor. My mom will sleep in her childhood bedroom. The first night is filled with talking, telling stories of long, long, ago, laughing, playing games, and watching TV. If I get tired of what is happening in the living room, I can go and sit at the dining room table and join in on the game, or I can go into the TV room and see what my cousins are watching, or I can go into the kitchen and listen to my mom and her sisters talk about stories of my grandmother and the older generation of relatives. Once I tire of that I can go outside and investigate the farm. 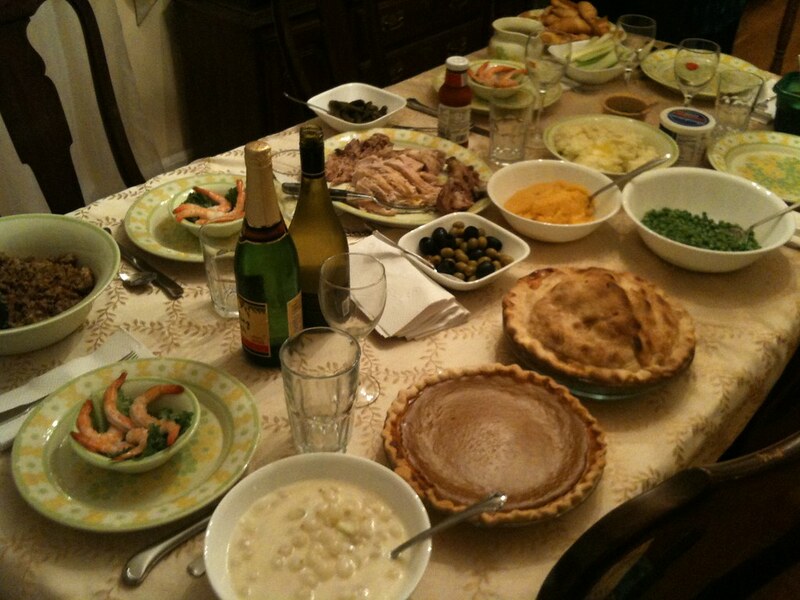 On Thanksgiving Day, the women prepared the typical turkey dinner with all of the fixings. The adult table held all of my aunts and uncles and a few of my older cousins. I, of course, sat at the kids table. There was always a big plate of black olives for us to stick onto our fingers. Wiggling our fat black fingers at one another, we would slurp the olives off one by one until all of our fingers were empty. Then we would reload and do it over and over again until all of the black olives were gone. About a year ago I purchased this electric pressure cooker, and I can tell you that I have been in love ever since. Seriously, how does anyone survive without one of these? There are so many different models to choose from, and I did my research before selecting this one. The major selling points for me at the time were that it was large enough to cook for large family gatherings (which it has), that I got it for a ridiculous pre-black Friday sale price (under $40 – HONESTLY! 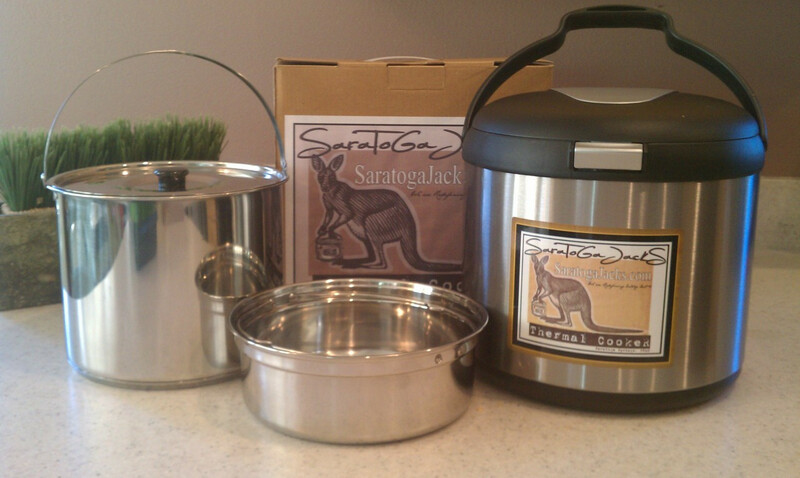 ), and that I could use it for canning (which I never have). The only downside to this model for me is that it doesn’t come with a steaming rack, something I wish that I had so that I could pressure cook eggs and other things that need to be up and off of the bottom heat plate. I can easily go out and purchase a steaming basket, taking care that it will meet the measurements to fit into my electric cooker. I would park the car in a spot where a steady stream of trick-or-treaters passed by so that he could watch them. After taking my little ones up and down the downtown loop, we would get back into the car and I would drive to a nearby neighborhood (sometimes double parking other people in for a short period of time) so he could watch more witches and minions and vampires parade by. In this spot, I would stay in the car with my father-in-law while my husband took our little ones out. “Look at that one,” he would say as he pointed to an extravagant costume. We giggled together at some of the more creative costumes. Some years, we would watch together through the blurry windshield as the wipers kept time with the pulse of his oxygen tank. What I Cooked in My Hotel Room! I’ve had a travel kitchen for many years. Want to stop during a five hour trip for a cup of coffee? I got it. Are you getting hungry, but don’t want fast food or a sandwich? No problem. I pretty much felt like the supermom of travel cooking! But what about staying at a hotel? Could I cook there? Would I set off a fire alarm? Yes, and yes, but I promise that the fire alarm was coincidental. Today, we rest. We have four daughters. We call them the “bigs” and the “littles” because there are 11 years between the two sets. Our bigs are in their 20’s and our littles are under 10. We adopted our littles six years ago, and they continue to challenge us with behaviors connected to attachment disorders. It was a particularly difficult week, so we sent them to daycare Thursday and Friday, hooked up our camper, and took off during the day. It’s amazing how a trip to the beach with this view can rejuvenate the soul! Well then, it’s back to bed for me! My mother hated to cook. When company came to the house, she would fret and stress out over what to feed them. Most of the time she would go out and buy Kentucky Fried Chicken or hamburgers from our local diner to bring home. On the rare occasion when she actually did cook, she made hotdogs or spaghetti and then she would ask everyone, “Does it taste OK?” mutiple times while they were chewing.